The party said that this means there will be a deficit of 120,000 places and thus the parents will be forced to scramble for the available spaces. Mr. Twigg said that when the schools reopen in the month of September, there will be more temporary classrooms in the playfields and overcrowded classrooms. The music rooms and the school libraries may even shut down so as to create additional classrooms. However, a Department of Education’s spokeswoman said that the claim by the Labour party that there will be a deficit of 120,000 places in the primary school is just based on the simplistic calculations that do not take into account the surplus places that already exist in the schools. The spokeswoman further said that according to a recent survey that was created, there were 400,000 surplus places in the primary schools all over the country and they expected the additional 110,000 to be created in time for the September reopening of the schools. The spokeswoman further said that about 90% of the free primary schools recently approved were in need of more resources and the government had released an additional £820 million for the sake of creating an additional 74,000 places in the areas where they were required most. However, even with the government defending itself, the Labour Party has continued to criticize it with claims that the free primary education program of the government was failing in providing enough places where shortages were being experienced. The party said that it would sort the mess by making sure that schools were built only in the areas where they were required as opposed to wasting hundreds of millions to build schools in areas where already had enough places. 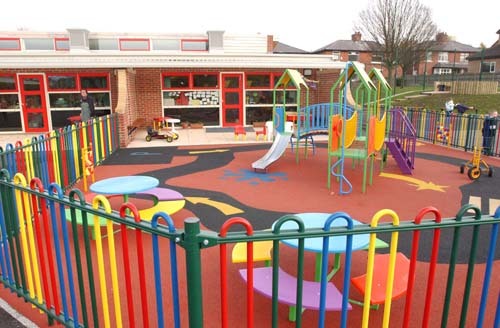 New Schools Network’s Natalie Evans however said that almost 70% of all the free schools that had been opened or approved had been built in the areas where the spaces were needed most. She further said that with this rate, an additional 250,000 places will have been created by the free schools which will be a very important contribution to taking care of the current shortfall that was being experienced in the primary schools. The increased demand for primary school places has been attributed to the increased immigration and the steadily rising birth rate. The National Audit Office has also warned that the shortages being experienced were not even and the pressure was highest in the city of London which held about a third of the shortfall.